I will give you five seconds to think of how many female computer scientists, programmers and developers you know. Five seconds is probably not enough – you need more. And that’s not because you have a whole list of names that fit the description – rather, it’s probably because you don’t know anyone who does. According to the EU’s Gender Equality Index 2017 report, Malta has the least participation of women in employment. And the number of women working in the tech industry is even lower. The #CodeLikeAGirl initiative attempts to bridge this gender gap while empowering young women to enter the brave new world of ICT. 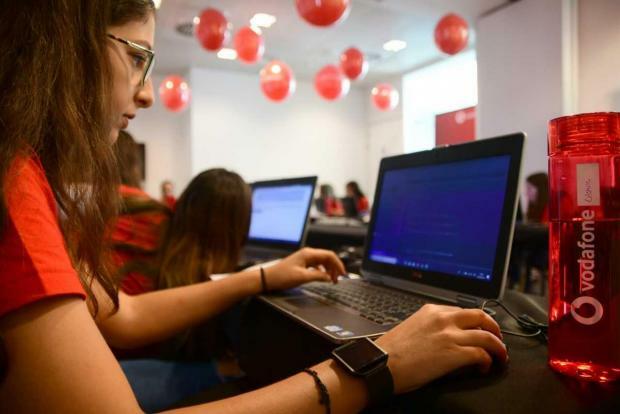 Vodafone Group has been organising coding workshops for 14-to 18-year-old girls across 26 countries. During these workshops, female students are given the opportunity to learn how to build their own website from scratch. 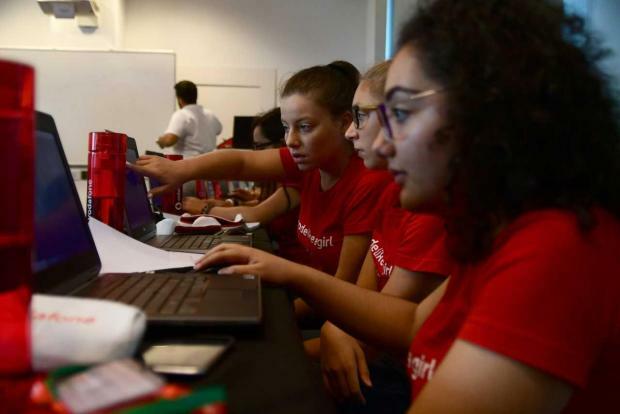 This year, for the first time, Vodafone Malta have organised the #CodeLikeAGirl workshops locally at their Skyparks offices. Given the age group, my expectation was to enter a room full of noise – maybe because I still had the image of my chaotic secondary school classrooms stuck in my head. Instead, I stepped into a room that crackled with concentration. The only discernible sounds were of mouse-clicking and the tapping of keyboards. No one even looked up. The workshop participants were so engrossed in building their own website they even missed their first break. In fact, no one budged when the trainers announced that it was lunch time and they had pizzas waiting for them. I would have jumped at the thought alone. But not one single girl moved a muscle – an intensity of concentration that was just impressive. And the inspiring thing about this, as one of their trainers, Brendan, pointed out, was that most of them didn’t even have a clue about coding or website-building in the first place. When the participants were ushered to lunch, I sat down with them for a while. I had to keep up with the conversation because, as they warmed up, it got even more animated. The majority had no knowledge or background in computing at all. Those who did had never dealt with coding. I was curious about the interest they have shown in the subject given they’re not studying it at school. Karissa, 15, told me it’s her back-up plan. She wanted to learn something new, just in case. There were a few others who agreed that having other options helped. I also learned there was a little push from their parents to try something new that gets them out of their comfort zone. Cosette, 15, said how there was this popular idea that tech-related subjects are difficult to grasp. “But if you put your mind to it, it’s not that complicated,” she said, adding how she rarely encountered similar, hands-on opportunities. These girls came from different backgrounds, schools and stages in life. However, the majority agreed that few girls took on IT and computing. They admitted that it’s normal to have an Italian class with an enrolment of 25 students and an IT class with just nine. Seeing this, I was curious to learn whether they thought jobs in technology were more male-oriented. Kayleigh, 15, took me by surprise with her instant and confident reply. Their future plans may be a bit hazy, and who blames them? They’re teenagers after all. But I have to say, I was fascinated by their drive. Even their trainers were impressed with their remarkable can-do attitude. I honestly hope we’ll see more of these initiatives in the near future. Workshops like #CodeLikeAGirl encourage and introduce young women to an exciting new world.